The I.D. BUZZ CARGO concept, based on its I.D. 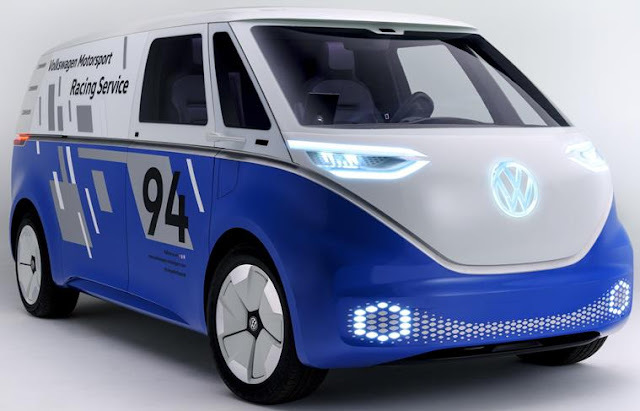 BUZZ concept sibling, is powered by a 111kWh battery, that can be charged to 80 percent capacity in 30 minutes with a 150 kW DC fastcharger, combined with a 201-horsepower electric motor, a single-speed transmission, and rear-wheel drive. An all-wheel drive system is possible in the future simply by adding a motor at the front of the vehicle. The vehicle’s top speed is electronically limited to 99 mph. The CARGO could be launched as a production vehicle in Europe as early as 2022.